16th World Pediatrics & Neonatology Congress will be hosted at Rome, Italy during October 14-15, 2019. We cordially welcome all the international participants, eminent researchers, students, business entrepreneurs and delegates to take part in this upcoming Pediatrics Healthcare 2019. Pediatrics Healthcare 2019 conference will focus on the latest and exciting innovations in all the areas of Pediatrics research. 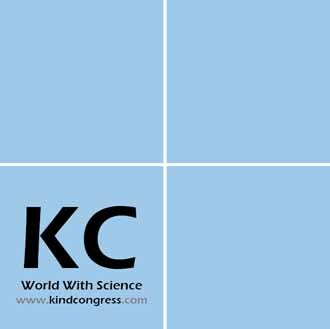 This year's annual congress highlights the theme “Interpreting Science, Technology and Research into cures for Newborn and Children” which reflects the ground-breaking progress in Pediatrics research. The conference includes child health care workshops, symposiums, special keynote sessions conducted by eminent and renowned speakers who excel in the field of pediatrics which includes the topics General Pediatrics, Pediatric Dermatologyhttps://pediatrics.cmesociety.com/, Pediatric Surgery and Transplantation, Pediatric Nutrition and diet, Children psychology, Pediatric Nursing care, Pediatric Research, Pediatric Gastroenterology and Hepatology, Neonatal system Development, Pediatric Respiration, Perinatology, Pediatric Pharmacy, Pediatric Sensory Therapy, Pediatric Genetics, Pediatric Radiotherapy, Pediatric Dentistry, Pediatric Endocrinology, Pediatric Nephrology, Infant Cancer, Pediatric Cardiology. This global Pediatric Conference also encourages the active participation of young student researchers as we are hosting Poster Award Competition and Young research Forum at the conference venue. Rome is the capital of Italy and probably your first stop in the country. Rome offers a wide choice of sites and experiences that will make your trip to Rome more enjoyable. At every turn, you will discover ancient monuments, ornate medieval and Baroque churches, beautiful fountains, art museums and Renaissance palaces. The old Colosseum is one of the most emblematic monuments in the world and modern Rome is a lively city full of excellent restaurants and a vibrant nightlife. St. Peter's Square and the Vatican City are also easily visited in Rome. We recommend at least 3 days in Rome. With members from around the world focused on latest and exciting innovations in all the areas of Pediatrics & Neonatal research. 16th World Pediatrics & Neonatology Congress will be held at Rome, Italy during October 14-15, 2019. The Two days of the congress will host scientific and technical sessions on cutting edge research and latest research innovations in the field of Pediatrics & Neonatology. This is your best opportunity to reach the largest assemblage of participants from the Pediatrics Community. Conduct presentations, distribute information, meet with current and potential scientists, make a splash with new drug developments, and receive name recognition at this 2 days event. For Child Specialist, Pediatrician, Pediatric Nurse, Pediatric Nutritionist, Pediatric Faculty, Physicians, Pediatric Researcher, Medical Colleges, Pediatric Association, Pediatric Societies, Pharmaceutical companies, Training Institutes, Healthcare Software Developing Companies, Business Entrepreneurs, Medical Devices Companies, Data Management Companies, scientists, researchers, students, faculties, nurse practitioners, nurses, neonatologists, nutritionist, oncologists, Psychiatrist, neurologists, endocrinologists, hematologists, nephrologist, ophthalomologists, hepatologist, child cardiac specialists, obstetricians, pharmacists, physiotherapist, physician assistants and interested attendees. For exhibition, sponsorship and collaboration: business delegates, entreprenaurs, exhibitors, collaborators, sponsors, directors, managers, CEO’s from industries such as baby products manufacturer, baby food manufacturer, infant formula producers can participate. Welcome to the International Pediatrics Congress & Exhibition!!! We are delighted to invite you to the Pediatrics Healthcare 2019 meeting to be held in Rome, Italy on October 14 & 15, 2019. This global meeting will bring together world leaders in growth areas identified as the innovative activity of the pediatrics and neonatal healthcare. Most of us are very aware of the urgency of a child who needs emergency medical care. Next, it is appropriate for this meeting to allow you to meet, network and discuss key issues related to Pediatrics, Neonatology and healthcare. The pediatric study aims to reduce the infant and child mortality rate, control the spread of an irresistible disease, promote difficult lifestyles for a long disease-free life, and help solve problems of newborns, children and adolescents. It can be recognized that this can be achieved by learning the main and essential subject of general pediatrics. General pediatrics incorporates the essential drugs needed to improve pediatric and neonatal health. The most critical problems may stem from the lack of healthy lifestyles compared to the general strength of babies and adolescents, as development and advancement can be truly prevented by nutrient deficiencies or supplements. 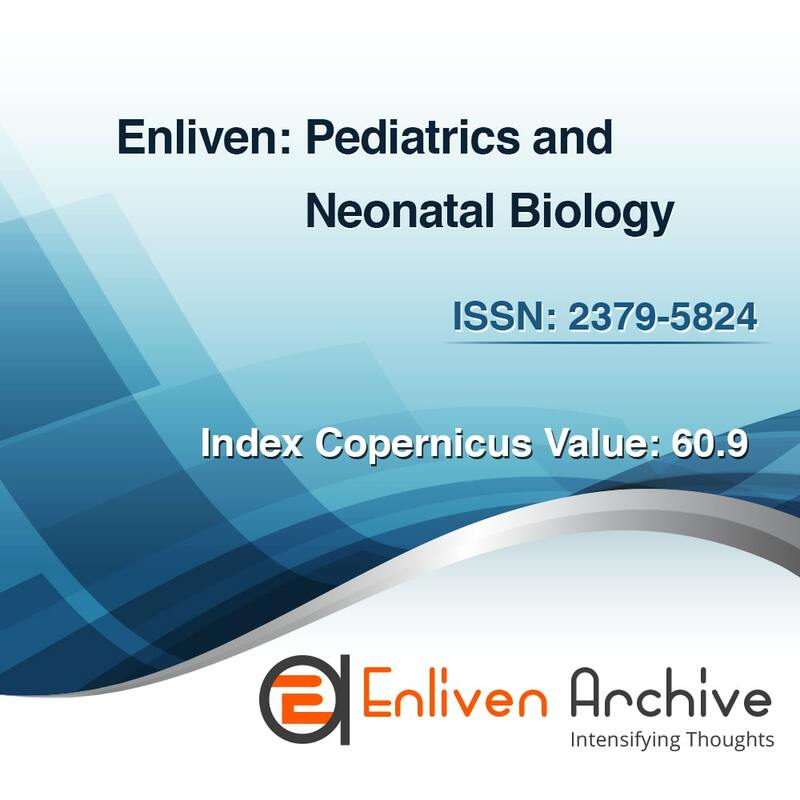 Neonates and premature infants (conceived before 37 weeks of pregnancy, having an underweight at birth weighing less than 5.5 kg) or suffering from an illness requiring emergency care are admitted to the Neonatal Intensive Care Unit (NICU). The NICU consolidates the latest innovations and prepares the neonatologist to pay special attention to the most underage patients. NICUs may also have intermediate or treatment areas for children who are less weakened but require specific care. Some infants will need care in an intensive care unit and giving birth to a weakened or premature baby can be very surprising for any parent. The new views, sounds and equipment of the NICU can be overwhelming. Twins, triplets or babies with congenital disorders are regularly admitted to the NICU as they will usually be born prematurely. Infants with diseases such as heart problems, diseases or congenital anomalies are also admitted to the NICU. Pediatric neurology or child neurology includes disorders of the brain, spine, peripheral nerves and muscles that affect infants, children and adolescents. The range of patients seen by a child neurologist has shifted from those with normal and generally clear conditions, such as cerebral palsy or headaches, to those with rare or complex conditions, such as metabolic disorders or degenerative disorders This diverse set of conditions allows pediatric neurologist, scientist and researchers to structure their logical or clinical drawbacks, as indicated by their clinical research. Pediatric Cardiology is responsible for determining intrinsic cardiac abandonment by applying indicative techniques such as echocardiograms, cardiovascular catheterization and electrophysiology. The increasing number of newborns with an innate heart alluding to the neonatal emergency unit to the growing awareness of the possibility of malformations. The chest X-ray and the ECG sometimes help the neonatal conclusion. The deception of the congestive heart in the embryo, or hydrops, can be distinguished by performing a fetal echocardiography. In this situation, congestive heart failure may be associated with fundamental weakness (eg, weakening of the Rh, maternal-fetal transfusion), arrhythmias (supraventricular tachycardia), or myocardial fracture (myocarditis or cardiomyopathy). A significant number of cardiac malformations in children, such as a patented arterial duct intrusion, a vascular ring division, a pericardial window, a calming of the stomach, a ligation of the thoracic tube, the ligation of the vessels have been corrected by pediatric intervention cardiology. The difficulties encountered in regenerated and regenerated cardiac regenerative surgeries are also explored. In addition to these methods, nursing care for pediatric heart patients is also an essential work to assist pediatric cardic patients. It can be scary to hear that a child has cancer or a blood disorder. It is recognized that neuroblastoma is the most common solid extracranial tumor of childhood. It is an embryonic malignant tumor of the sympathetic nervous system resulting from neuroblasts (pluripotent sympathetic cells). Researchers are looking for a genetic source of cancer in children. Leukemia is a disorder of white blood cells. Acute lymphoblastic leukemia is the common type childhood cancer. Other types of leukemia less common in children are acute myeloid leukemia and chronic myeloid leukemia. Lymphomas (Hodgkin's and non-Hodgkin's lymphoma) are the third most common cancer in children. Based on the characteristics and microscopic appearance of the cancer cell, pediatric lymphomas are divided into Hodgkin's lymphoma and non-Hodgkin's lymphoma. Therefore, learning more about advances in cancer detection and images is becoming a leading topic in curing childhood cancer. Pediatric nursing combines pediatrics and nursing. Specially trained pediatric nurse performs outstanding work in pediatric nursing. The session integrates the importance of health care, child care, neonatal and progressive nursing, schizophrenia and nursing, psychiatric nursing and mental health. Emergency nursing is an integral part of the preparation of nurses and medical graduates. Thus, in the absence of the pediatrician specialist during the emergency, a nurse in neonatal care or pediatric intensive care can help you. Pediatric nutrition involves the maintenance of a suitable and highly adapted diet, including basic supplements and adequate caloric intake, which is essential for healthy growth and to meet the physiological needs of the different phases of child development. Children change dramatically with age. They are specifically associated with the rate of development. Breastfeeding contains important ingredients that are not in any formula, which strengthens the baby's immune system. Pediatric nutrition should include basic vitamins and minerals that promote healthy growth and development. Proteins are the essential units necessary for the development of muscles and all the metabolic activities of the body. To increase calcium levels, it is necessary to take dairy products. Food allergy is an abnormally unbearable reaction to sustenance. The signs and side effects can range from mild to extreme. They may include itching, swelling of the tongue, vomiting, diarrhea, hives, difficulty breathing, or low blood pressure. This normally occurs a few minutes to a few hours after the meal. Increasing frequency and penetration of Anorexia Nervosa (AN), Bulimia Nervosa (BN) and other nutritional problems in children and adolescents requires the pediatric nutritionist to become familiar with the discovery and early treatment of these disorders. During the development period, early and before adulthood, adequate nutrition is extremely important. Children's diets not only contribute to their growth and development, but also strengthen their immune system. Although cravings, cravings and tastes of food usually change during childhood in adolescents, it is essential to reliably provide children with a healthy choice among the majority of important nutritional categories. Gastrointestinal disorders in children range from the minor to the perilous, from the short to the long term or to infinity. Neonatal jaundice is one of the most widely recognized diseases requiring therapeutic treatment in newborns. Gastrointestinal food sensitivities are not uncommon in babies and children. Gastrointestinal Endoscopy (GI), a pediatric endoscopy has become an essential modality for the evaluation and treatment of gastrointestinal diseases. Complex gastrointestinal medical surgery is one of the usual strategies for treating gastrointestinal disorders in children. The most worrying diseases in pediatric gastroenterology are acute diarrhea, gastritis, nausea and problems with gastric tract development. 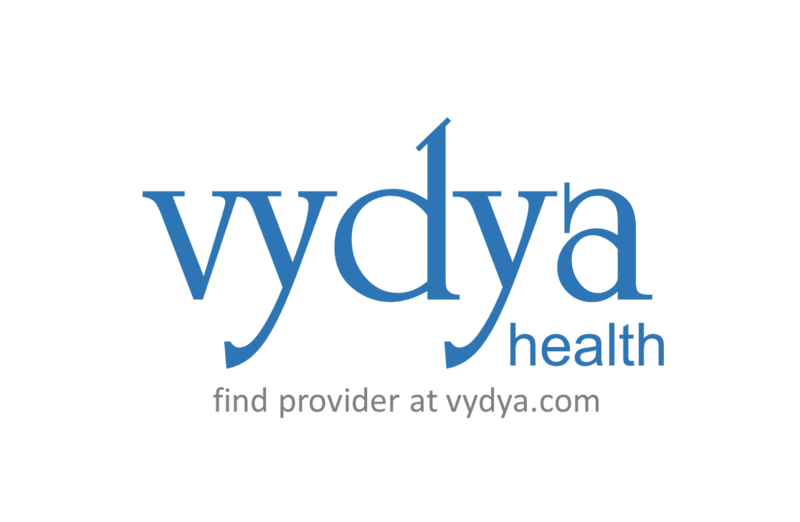 Developmental pediatrics focuses on the growth and development of children. Development and behavioral pediatricians with their training and experience in assessment and treatment, medical and psycho-social aspects of developmental problems and behavior of children and adolescents. Parents may wonder if the behavior or development of their child is "normal". 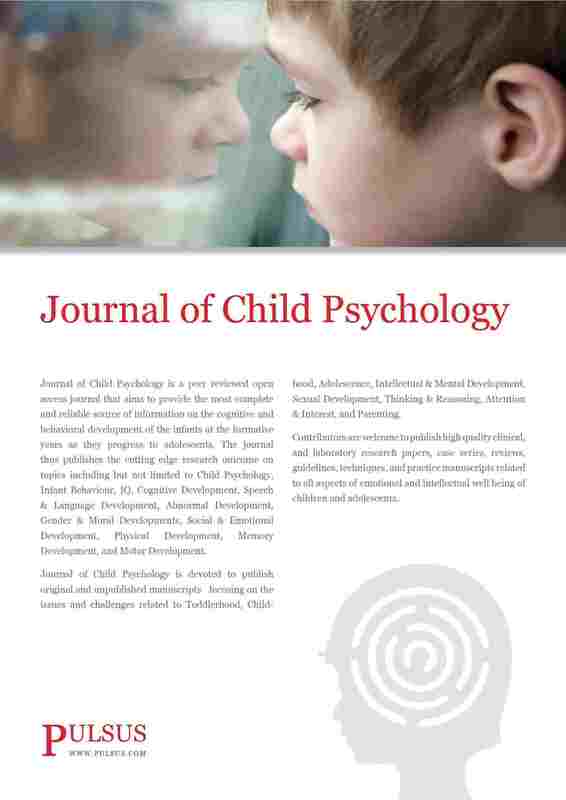 There is a wide range of characteristics considered typical of child development. But if the concern is about the child's physical, emotional, learning, behavior, or social development issues, a pediatrician of development and behavior may be helpful in this treatment. International healthcare experts conduct research to improve the Care and function of Children with Developmental and Behavioral disorders, including Autism, Injury Prevention, Down Syndrome, Dyslexia etc. Pediatric rheumatic diseases affect the joints, muscles and connective tissues. Some, similar to osteoarthritis. Others, for example rheumatoid arthritis, are disorders of the immune system. Treatment will likely include prescriptions, regular physical activity, healthy eating, bed rest programs and anti-stress treatment. Lyme disease, systemic lupus erythematosus, Behcet's disease, rheumatic polymyalgia, rheumatic fever are the most common rheumatic problems. Lupus erythematosus is a name given to an accumulation of infections of the immune system in which the human immune system leads to hyperactivity and attacks normal healthy tissues. Rheumatic fever is an inflammatory infection that can affect the heart, joints, skin and brain. Some rheumatic disorders are chronic. They are not likely to leave. Our condition may not be cured, but effective treatment is available for most patients. Many people with rheumatic fever are happy and live long after one year. Pediatric rheumatology is actively involved in clinical research to improve care for children with rheumatic disease. Genetic disorders and congenital anomalies occur in about 2% to 5% of live births. We all know how difficult it is for a parent to discover that their newborn has a congenital or genetic disorder, whether it's a heart defect or sickle cell disease. Congenital disorders are available from birth and hereditary disorders are passed from parents to their babies through genes. There is a wide range of congenital and hereditary orthopedic problems and, in most cases, children respond well to treatment. Congenital disorders can be acquired or caused by environmental factors and their effects on the health of the child can be very mild to severe. This session on congenital disorders and genetic diseases will discuss studies and research on hereditary diseases and congenital disorders in children. Pediatric lung disease research continues at any time. Pediatric Pulmonology manages the diagnosis and treatment of diseases, including the respiratory tract. Pediatric Pulmonologists are trainees who study the causes and treatments of a wide range of pediatric lung disorders, particularly diseases such as pneumonia, asthma, tuberculosis, confused chest infections, respiratory problems etc.. It is therefore important to study and research the diagnosis, vaccination and preventative proportion of these diseases. Caring for children with acute and chronic kidney problems; advanced research and discovery of information to better understand kidney failure, as well as its prevention, diagnosis and treatment; and prepare physicians for prescribed procedures in pediatric nephrology. Children's Nephrology Specialists are studying the pathophysiology of kidney disease through essential laboratory and clinical research. Learn more about research conducted in the division of Pediatric Nephrology, Kidney Transplant, at the International Conference in Rome, Italy. Pediatric endocrinology is a medical subspecialty that addresses the problem of sexual development in children, as well as neonatal diabetes and various organ disorders of the endocrine system. It also includes research on the most widely recognized types of diabetes, type 1 diabetes and type 2 diabetes. There is another type of diabetes that is frequently misdiagnosed as type 1 diabetes or type 2 diabetes called monogenic diabetes, found in children. Among the most critical recent developments, the focus is on transgender child care. An increasing number of these young people are seeking medical treatment to enable the development of stable physical characteristics with their experienced gender. Medical treatments can save lives. In the near future, we hope to better understand how medical treatments currently used by transgender children have an impact on bones, brains, fertility and quality of life in general. The research should also provide a better understanding of the effects of early health progress in pre-pubertal youth. Too many children with depression are neither diagnosed nor treated. The care of children with mental health problems is necessary. Taking care of children mental health is just as important as having a healthy body. Children with mental health problems are increasingly being evaluated and treated by primary care physicians and pediatric emergency physicians. Paediatricians are and will continue to be an important first resource for parents worried about their child's behavioural issues. This session focuses on the epidemiology, assessment and management of the two most common pediatric mental health emergencies, suicidal and homicidal / aggressive patients, and the equally challenging population of children with autism or other intellectual disabilities. 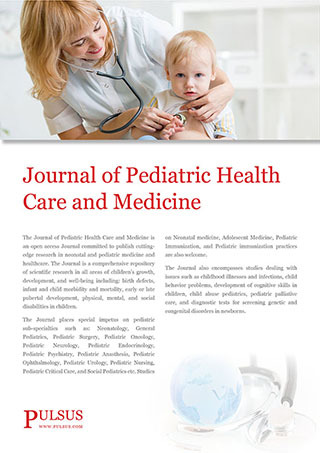 Latest Research on Global Pediatric Healthcare Market Provide Forecast Report 2019–2024 presents an in-depth analysis of the Pediatric Healthcare which researched industry situations, market Size, growth and demands, Pediatric Healthcare market share, business strategies, competitive analysis by Pediatric Healthcare market vendors, development models, opportunities, future development, value chain, major manufacturers profiles. The Middle East and Africa, which account for about 2% of global medical consumption, are expected to grow steadily. Pediatric & Neonatal care facilities in the Middle East and Africa are developing gradually. As UNICEF has pointed out, although the infant mortality rate has been falling in the Middle East since 2000, 415,000 young people in the region continue to die each year before their fifth birthday. The extension of the present moment and infinite problems, the formation of a team of medical services and hospitals are guiding the development of pediatric and neonatal services in the Middle East and Africa. Advances in technology and government activities to improve the health services sector are fuelling the development of pediatric and neonatal medicine services in the Middle East and Africa. 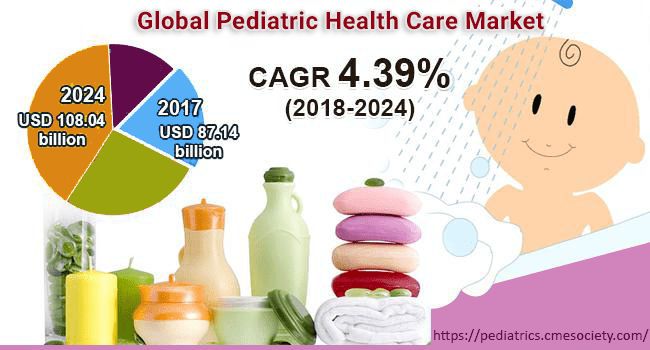 The pediatric and neonatal healthcare market in the Middle East and Africa accounted for about $ 48 billion in 2016 and is expected to reach $ 63.6 billion in 2023 with a CAGR of 4.1%.